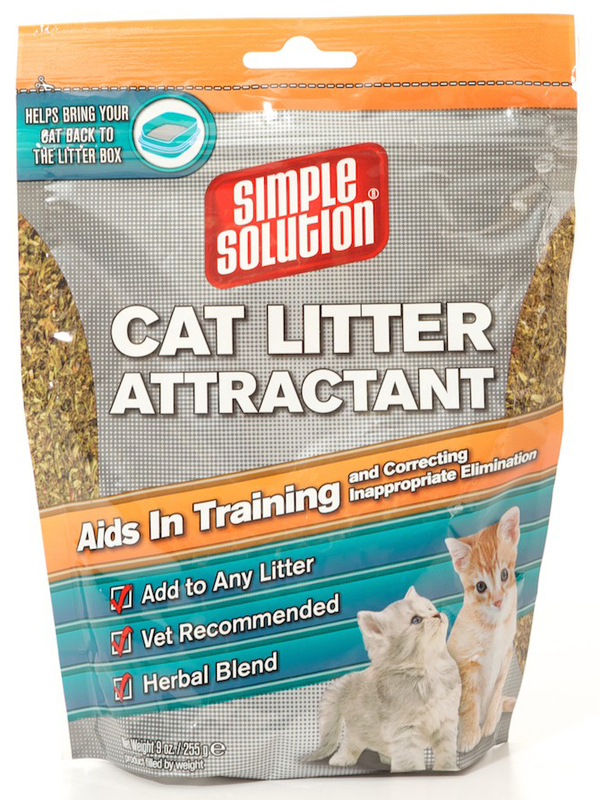 The Simple Solution Cat Litter Attractant is an excellent training tool for kittens or cats which have just been introduced to the house. It helps to ensure your cat returns to the litter box and lowers the chance of litter box rejection. It is made from a combination of herbs, and can be added to any cat litter. There are currently no questions for Simple Solution Cat Litter Attractant - be the first to ask one!